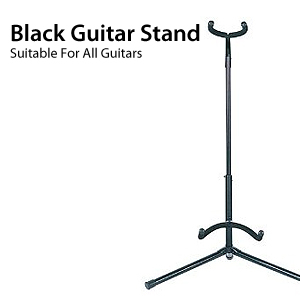 a very safe and secure place to stand your guitar. 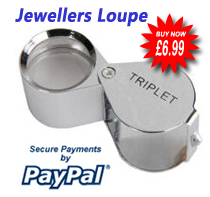 One of the best selling items on our catalogue. Well made with the best materials and with a solid construction will last for years. For the price, this is faultless. Simply open the box, attach the three parts together (a 2 minute job at most) and pull the legs as far apart as they'll go - job done. I have a Yamaha ERG121C guitar (Yamaha Strat copy) and it fits like a glove, and looks great in black too. This would fit any guitar shape though, from Les Pauls to Explorers to Jazzmasters. The rubber pads prevent scratches to the neck and body when placing and removing your guitar. The only thing I would say is that, as the rear leg is shorter than the other two, a knock from say a vacuum cleaner could topple the stand over. Put it near a wall though (and who has these things in the middle of a room anyway?!) and you'll be fine. In short, great looks, great price - just plain great!